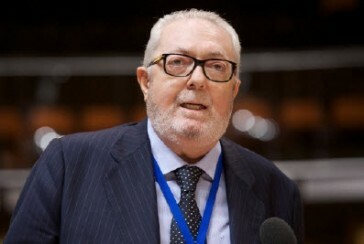 The Group of the European People’s Party/Christian Democrats in the Parliamentary Assembly of the Council of Europe promotes cooperation in Europe in a democratic and social framework, based on individual freedom, linked to the concept of christian responsibility and according to the principles and the values of moral law. The name of the group is : Group of the European People’s Party/Christian Democrats in the Parliamentary Assembly of the Council of Europe, in its abbreviated form: EPP/CD hereafter referred to as “the Group”. 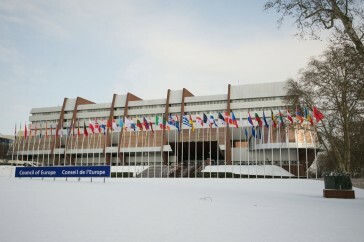 The Group has its headquarters in Strasbourg. 1) All members of the Parliamentary Assembly being members of a member, associated member or observer party of the European People’s Party (EPP) can become members of the Group. 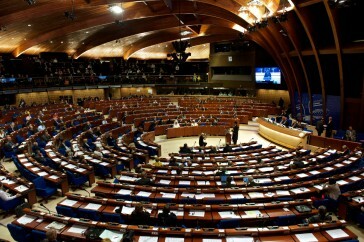 2) Any new member of the Parliamentary Assembly who is willing to fulfil his/her mandate in the Council of Europe in accordance with the values indicated in Article 1 of these Rules of Procedure may become a member of the Group. 3) Membership in the EPP/CD Group is also open to the representatives of member parties which were members of the EDU but not of the EPP at the time of the EDU’s dissolution and who are willing to fulfil their mandate in accordance with the values indicated in Article 1. 1) Members of the Parliamentary Assembly qualifying under Article 4 (1) of these rules are automatically members of the Group, unless they explicitly disconnect themselves from the Group or if they affiliate themselves to another political group in the Parliamentary Assembly. 2) Insofar as a member of the Parliamentary Assembly would like to be admitted to the Group and being not a member party of the EPP, the approval of the majority of the members of the Group is required. If an applicant to the EPP / CD Group is a representative of a Member State where the EPP already has a member party, the representatives of this party must indicate their approval of the admission. In the case that their approval is not forthcoming, the applicant can be admitted by a three quarters majority of the members of the Group after the opinion of the EPP Political Bureau has been requested and given. The EPP/CD Group can decide to accept and to invite observers coming from countries not being Member States of the Council of Europe, sharing the values articulated in Article 1. All Members have the right to take part in the activities of the Group, in votes and in elections within the Group. The Group can decide to invite members of the Parliamentary Assembly as guests to its Group meetings. Guests are allowed to be present but are not allowed to take the floor or to take part in elections or to vote. Members, Assistant Members and Observers may not at the same time be Members, Assistant Members or Observers of another political group. The Plenary Assembly is made up by all the members of the Group. 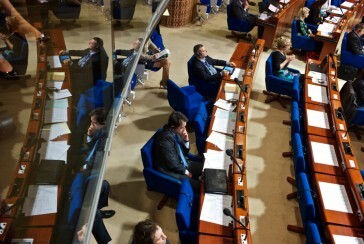 It meets at least once during each Ordinary Part Session of the Parliamentary Assembly. 1) The Plenary Assembly deals with both matters relating to the Parliamentary Assembly and to the external affairs of the Council of Europe. The Plenary Session prepares decisions to be taken on the basis of Reports presented to the Parliamentary Assembly and elaborates its own proposals. 2) The Plenary Assembly decides also on the cooperation between the Group and other political groups within the Parliamentary Assembly of the Council of Europe and with those represented in other European institutions. 4) The Plenary Assembly examines the reports of the Bureau and of the Treasurer and takes appropriate decisions concerning these issues. The Plenary Assembly votes on the annual budget of the Group. 5) The Plenary Assembly elects two Auditors who notify it of the results of their audit. 6) The Plenary Assembly proceeds, if necessary, to the dissolution of the Group. 1) The Enlarged Bureau of the Group consists of members of the Bureau and one representative of each national delegation which is not already represented within the Bureau of the Group. 2) The enlarged Bureau can invest the members of the Group with particular missions. These members are therefore members of the Enlarged Bureau with non‑voting rights. 1) All political questions and issues concerning the organisations of the Group fall within the competence of the Enlarged Bureau insofar as such questions are not within the competence of the Plenary Assembly. 2) The Enlarged Bureau meets during each Ordinary Part Session of the Parliamentary Assembly, in order to prepare the plenary sittings of the Parliamentary Assembly. 1) The Bureau consists of the President, fifteen Vice‑Presidents, the Treasurer, two Auditors and the Secretary General who is appointed by the Enlarged Bureau on the proposal of the President. 2) Members of the Bureau can not be substituted for in their absence. 1) The Bureau leads the Group. It carries out decisions taken by the Plenary Assembly and the Enlarged Bureau. 2) The Group is represented in external matters by the President and the Secretary General. 3) The Treasurer manages the finances of the Group in agreement with the Bureau. 4) The day-to-day running of the Group is dealt with by the Secretary General of the Group working in close cooperation with the President of the Group. 1) Members of Bureau of the Group are elected for two calendar years. The election should take place during the First Part of the Ordinary Session. 2) The election of each member of the Bureau requires an individual ballot. 1) The President convenes the organs of the Group. 2) The President or one of fifteen Vice Presidents chairs Group meetings. During the re‑election of the Bureau, the oldest member of the Group exerts the presidency. 1) An election can only be valid if the members of the Group have been convened at least two weeks in advance of the meeting and have received the Agenda. 2) Within the Bureau and the Enlarged Bureau, at least half of the members having the right to vote, must be present in order to ensure that the election is valid. In matters upon which the present Regulations have not anticipated other arrangements, decisions are adopted by a simple majority of the votes cast. If the vote is tied, the proposal is considered to be rejected. Amendments to the present Regulations require an absolute majority of the members of the Plenary Assembly having the right to vote. A decision on the dissolution of the Group requires a three quarters majority of the votes. 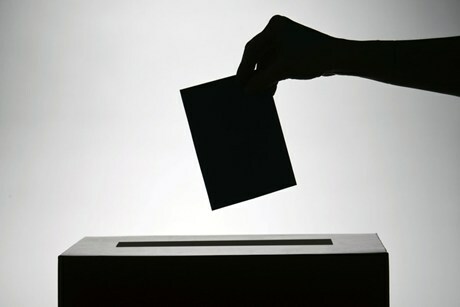 1) Votes may take place by acclamation, by a show of hands, or by secret ballot if three members present so request it. 2) During a vote each member has the right to abstain if he/he so wishes. 1) The election of members of the Bureau shall take place by secret ballot. However, if there is only one candidate for one function, the election can take place by acclamation or by a show of hands in the event that there is no objection to this procedure. 2) The majority of valid votes cast is required for each election. In the event that no majority is reached, a second ballot shall take place between the two highest placed candidates. If several candidates obtain the same number of votes as the candidate in second place, they are included in the second ballot. 3) If following the second ballot none of the candidates has obtained a relative majority, lots will be drawn. 4) Abstentions and invalid votes are not taken into account in the calculation of the majority.